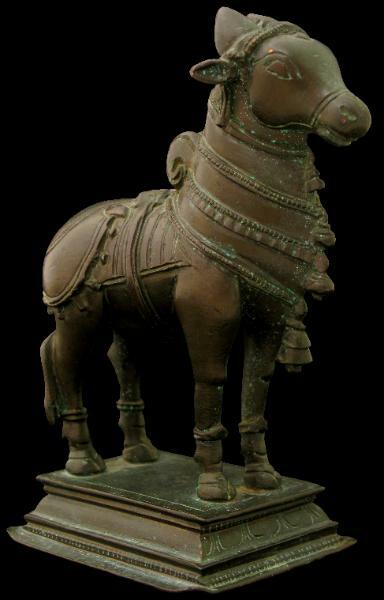 This bull or Nandi stands on a multi-tyiered plinth and is well decorated with ceremonial harnesses, a blanket, head ornamentation and four bells down his prominent neck. The image is considerably larger than those normally encountered for domestic puja worship. 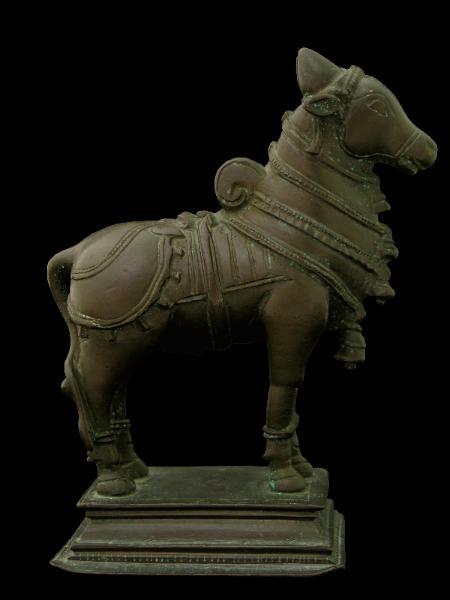 Nandi is the bull vehicle of Shiva and so is associated with Shaivite worship. 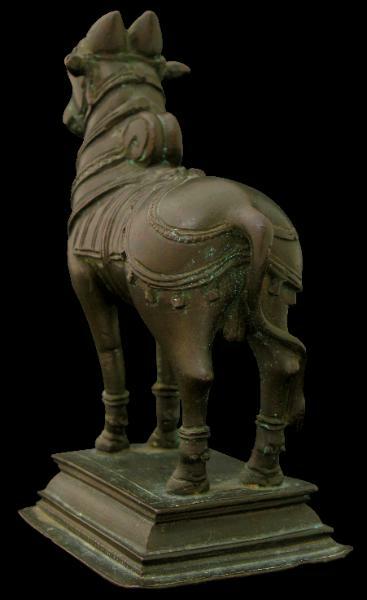 Larger Nandi images often are placed at the entrance of Shiva temples. They have long been associated with fertility, illustrated by the custom of worshippers touching such image’s testicles as they file past as they enter the temple, particularly if they wish to expand their family.